There is a large area of plain dust on the cover of Chess Informant 128. Our mysterious hero is leaving the scene without looking back... We dare to believe that Chess Informant 128 is simply in a league of its own, without peer. Quite simply a far cry ahead of everything else in the chess market. Now imagine that the play of world title challenger is presented by none other than the newly crowned European champion. That is exactly what we have to offer. In fact, GM Ernesto Inarkiev wrote the final pages of this article even while he was playing in the European Championship! Inarkiev not only answers the question "What has been demonstrated by Karjakin that could not have been done by others?" but also reveals Sergey's secret weapons at the Moscow Candidates’ tournament. Nowhere else will you find more than 30 pages of superb annotations and analysis by the reigning European champion ofon key games from the strongest tournament of the year! In addition, GM Aleksandar Colovic has prepared an extensive opening report from the Candidates' Tournament. While Inarkiev was busy with writing about Karjakin, someone had to present his own fantastic success at the European Championship! Our regular contributor GM Sarunas Sulskis dissects two key games that cleared the path to victory for Ernesto Inarkiev and lays bare the tension, strategy, pre-game preparations (both chess and psychological), stamina, determination and all the other elements essential for modern combative chess where the stakes are high. In addition, Sulskis annotates a fascinating game by the title defender, Evgeny Najer, which once again demonstrates that "defending the title" is a huge challenge and not just an old cliche, especially in such a strong field as the European Championship. Incidentally, let us not forget to say that we are delighted that Najer (see below) is also one of our writers for Chess Informant 128. 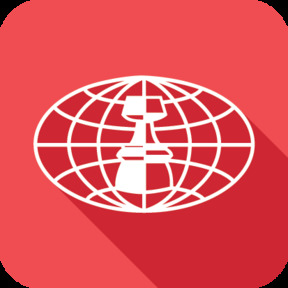 Our Chess Informant team has been joined by one of the chess world's living legends! English GM Michael Adams shares his views on what has recently become a very popular setup against the Ruy Lopez – and which he faced on both sides of the board. Funnily enough, Michael never expected to have played the identical opening in 4 consecutive games in the German Bundesliga. If you wish to discover all the subtleties of this rich opening, and the positional plans for both sides, you will not find a better guide than this world class exponent. Chilean GM Mauricio Flores Rios presents games from the strongest ever US Championship. Eight thoroughly examined games plus a gem of a game from the Ultimate Blitz Challenge will grip the reader's attention as we share with you the very best moments of the most exciting chess event in the US this year. After Fabiano Caruana recently rejoined the US Chess Federation , the tournament was a huge challenge for him - his first participation, playing in his new hometown, and his first competitive appearance after the Candidates' in Moscow, where coming 2nd (after his loss to the winner in the last round) deprived him of the right challenge for the world title. However, Fabiano performed in an absolutely convincing fashion and can now with full justification be regarded as the best player in America . India's GM Surya Ganguly reveals the inside track about the road to victory in the Bangkok Open. Amazingly, he was also able to follow what was happening on other boards and pick out the most creative games. Deep concentration, an excellent calculating ability, combined with detailed knowledge of some highly instructive endgames, proved to be key to his success. Opening preparation is crucial in modern chess and even very experienced players sometimes fail to do their homework properly. Nerves and the prospect of considerable prize money, mean that forgetting or simply not knowing about „old“ ideas is just as important as finding great new ones! Scottish GM Ketevan Arakhamia-Grant guides us through the Women's World Championship match held in Lvov. Revealing both chess and psychologic insights, she is candid about the preparations, importance of team work, missed opportunities, and also the important practical decisions that need to be taken in order to become a world champion. Lack of decisiveness and energy can prove fatal in such short matches - certainly a truism not only for women's chess! Instructive as always, there's a lot to be learned from Kety’s article. Also very much to the point are her views about the future of Hou Yifan, whether she can be compared with Judit Polgar, about the world championship cycle and how best to decide the World Champion after taking a look into chess history. In addition GM Sergey Rublevsky adds a very important theoretical game where his homework proved decisive and allowed him to cruise effortlessly to victory. SICILIAN SCHEVENINGEN: FIRE ON BOARD! "Old Wine In New Bottles" is our regular column from Romanian GM Mihail Marin. This time he was inspired by a recent game of Liviu-Dieter Nisipeanu played in the 2016 European championship. The author puts it this way: "Whilst watching the following game I could not shed my feelings of distinct 'romantic nostalgia'. Modern chess often does not allow such "romantic attacks", but this game by "the Romanian Shirov" proves that there can indeed be "fire on board" in modern games! Going back through chess history, Marin brings back memories of one of the greatest Sicilian attacking players of the second half of 20th century - legendary Serbian GM Dragoljub Velimirovic, whose original and highly creative ideas were dubbed "fire on board". With few pieces on the board, a problem often arises once their optimal placement is achieved. The author GM Karsten Mueller put it nicely: "If a player could just pass, as in the game of Go, then even king and rook could not win against a lone king." The problem of a zugzwang becomes even greater if there is a mutual zugzwang! This selection of 12 examples is divided into five categories and all but one are from the most recent tournaments played worldwide. Even those who do not enjoy endgames will certainly have fun going through this article and will find key positions easy to memorize! 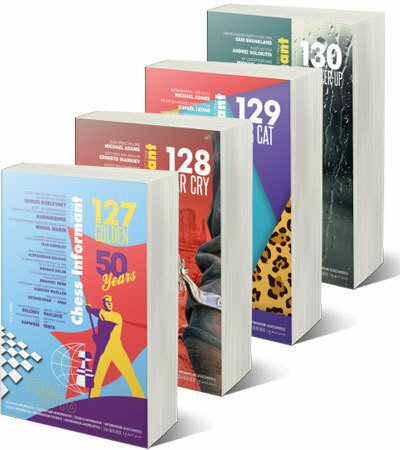 The second half of Chess Informant 128 continues our half-century tradition of publishing the most interesting games, combinations, endings and studies from recent events, together with annotations by the players themselves or our in-house team of grandmasters and international masters.